75, a record high number of griffon vulture pairs was registered in the Eastern Rhodopes within the regular monitoring of the species. The Rhodope Mountains rewilding area is the only breeding area of the indigenous griffon vulture population in Bulgaria. From 12–15 February 2015, experts of Rewilding Rhodopes and their partners from the Bulgarian Society for the Protection of Birds/ BirdLife Bulgaria visited all nesting localities of the griffon vultures in the Eastern Rhodopes. 55 of the 75 registered griffon vulture pairs are at an incubation stage and the rest are in the process of building their nests. Most of the identified pairs consist of adult birds. Maintain and support the comeback of the vultures in the Eastern Rhodopes is one of the highlights of the recently started five-year rewilding activities financed by the Swiss-based Fondation Segré. Monitoring griffon vultures in the Eastern Rhodopes, Bulgaria. Griffon vulture was widespread in Bulgaria in the past. In the middle of the 20th century the number of the species has decreased dramatically and in the beginning of 70’s it was considered extinct. In 1978, a small colony with one breeding pair was found in the area of Studen Kladenets, Eastern Rhodopes. 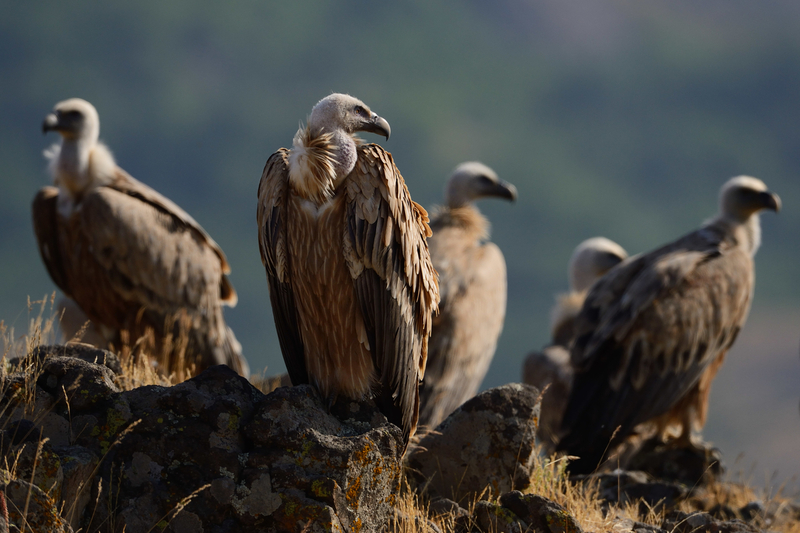 Eight years later a griffon vulture colony of nearly 20 birds and three nesting pairs was discovered near the town of Madzharovo. Shortly after the first direct conservation activities on the last vultures in Bulgaria started: monitoring, artificial feeding and work with local communities. Gradually, the species recovered and its breeding population increased from about 10 pairs in 1990s to 70 in 2014. Today, the Arda valley is the breeding area of one of the largest natural colonies of griffon vultures on the Balkans. The Eastern Rhodopes is also the most important breeding site for the globally threatened Egyptian vulture on the Balkan peninsula. The last remaining breeding colony of black vulture in South-eastern Europe is situated nearby, in the Dadia forest on the Greek side of the border and the birds regularly come over to the Bulgarian side of the mountains in search for food. 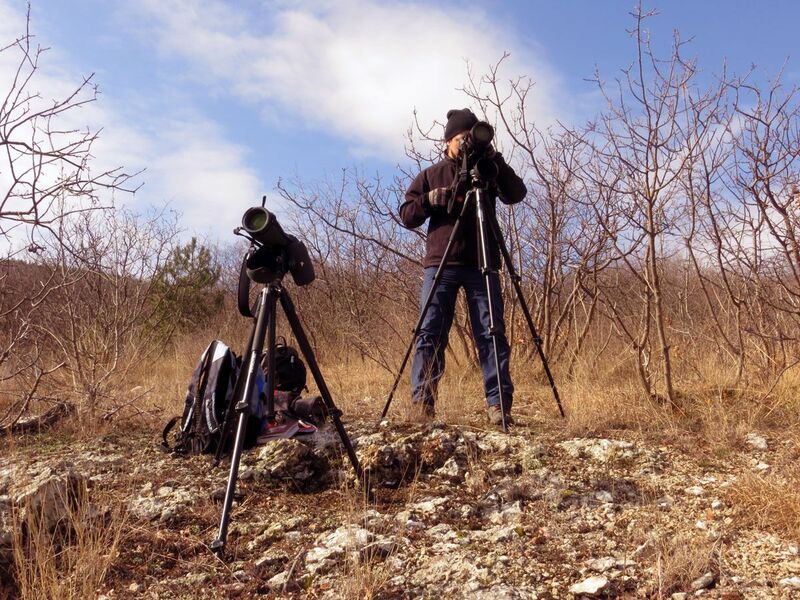 The Rhodope Mountains rewilding area is a hotspot for birdwatchers and photographers. You can be an active part yourself in supporting the rewilding activities in the Rhodope Mountains! Help us to help the susliks to come back in numbers and to re-colonise lands where they used to live, in the foothills of the Rhodope Mountains of Bulgaria.